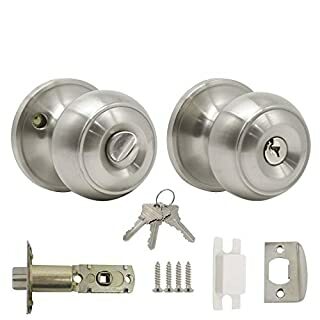 2 Lever Lock with 2 Keys with RE (radiused ) Nickel Faceplate Keyed Alike means that if you buy more than 1 handle and lock set, the keys will open each lock. 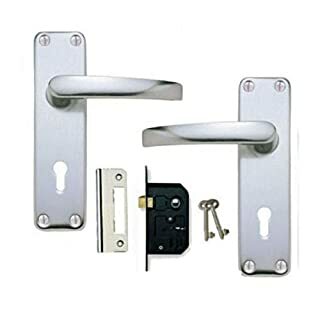 Sprung Aluminium Lever Lock Door Handles Set Complete with a Keyed Alike 2 Lever Lock, Strike Plate; 2 Keys. 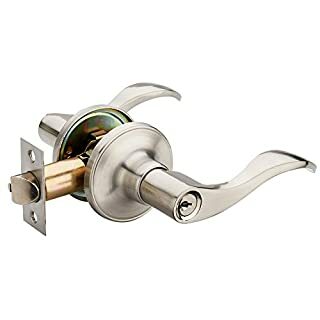 The Lock is Nickel Plate Finish with a Radius Faceplate. 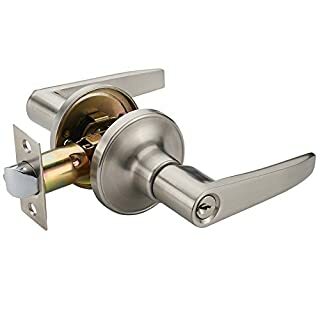 Keyed Alike means that if you buy more than 1 handle and lock set, the keys will open each lock. 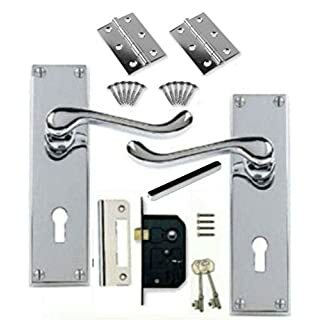 Euro Profile Slot Handles [by XFORT] Victorian Scroll Euro Lock Handles, Euro Cylinder Lock Door Handle Set for Internal Timber Doors Where Lock & Key Control Access is Required. 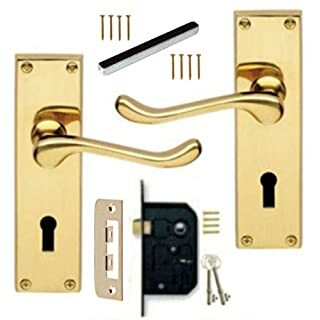 1 Lever Lock Sets in a value pack with accessories. 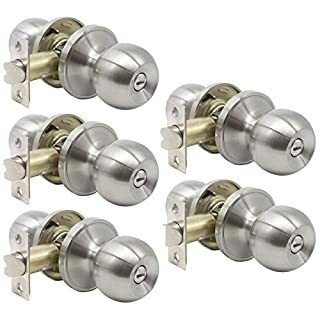 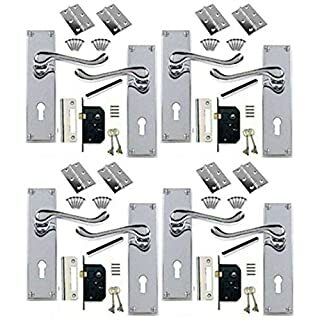 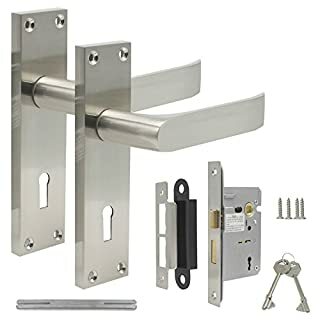 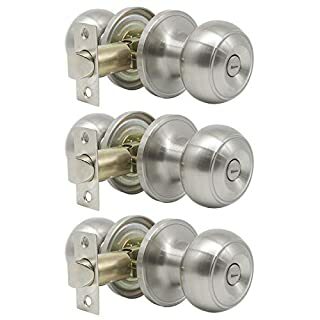 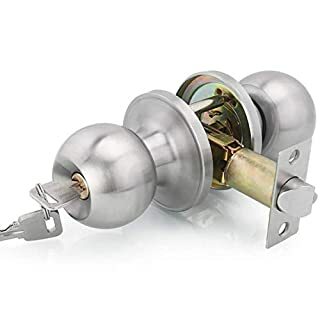 Specification: Complete with 65mm tubular latch Door Thickness: 28mm-58mm Handing: Left, Right, Reversible Backplate Dimension 154mm x 40mm Lever Dimension:120mm x 50mm Lock Set: Suitable as interior door handles. 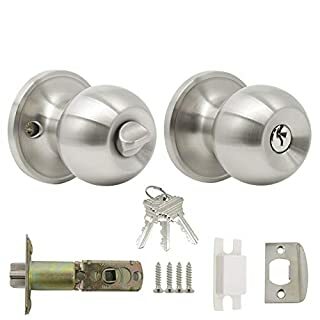 Easy to Install: Installation is easy, all you need is a screwdriver and a little time.This set is designed to fit standard prep doors and most installations should take less than an hour. 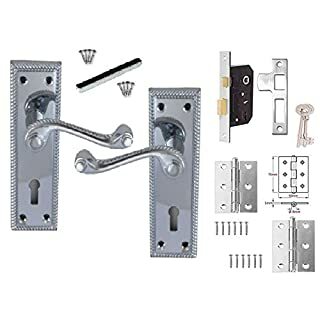 About Probrico: Probrico has been known for offering decorative Home hardware: pulls and knobs, drawer slides, door hinge, concealed hinge, door locks and more. 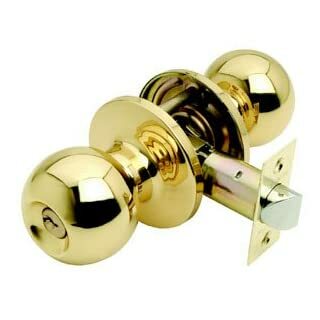 In recent years, we've expanded our product offering to enhance the look and feel of various rooms in the home. 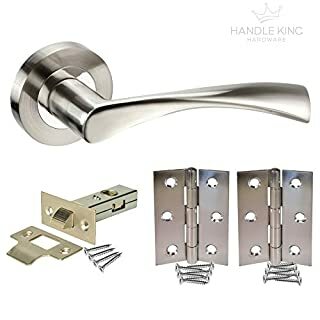 Take a look at our decorative cabinet hardware featuring unique finishes and designs, as well as functional cabinet hardware to fit a variety of cabinets and drawers. 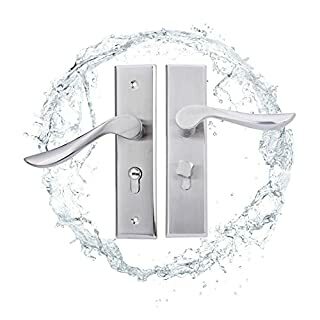 Probrico offers solutions for all of your home décor needs. 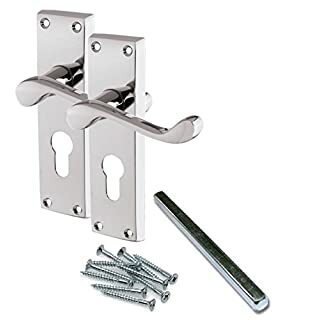 Classic Georgian Lever Lock Door Handles Chrome Finish Perfect for Adding a Subtle Traditional Touch to Your Home Polished Chrome finish. 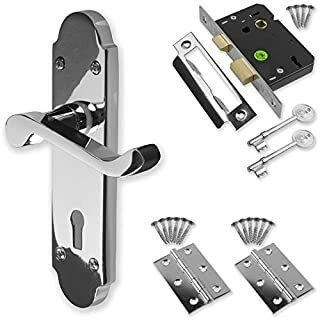 Includes a polished chrome 2 Lever Lock with 2 Keys with polished chrome finger plate. 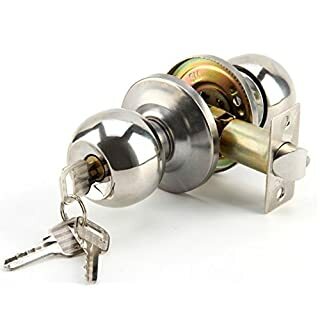 The locks come with 2 keys and also included are a pair of 3" hinges.